Only in Zimbabwe would a hamburger actually cost millions of dollars. Although the dollar was considered to be among the highest valued currency units when it was first introduced in 1980 to replace the Rhodesian dollar at a ratio of 1:1, political turmoil and hyperinflation rapidly eroded the value of the Zimbabwe dollar to eventually become one of the most worthless currency units in the world. 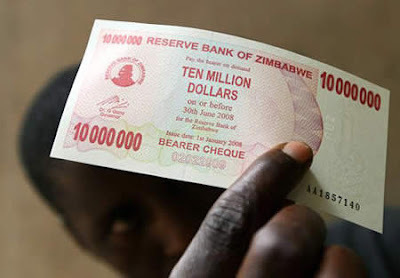 Zimbabwe’s shocking 100,000 percent inflation rate, forced the government to release a 10,000,000 dollar note equivalent to less than US$ 4. A hamburger in an ordinary cafe in Zimbabwe costs 15 million Zimbabwe dollars. You’d think he won the lottery! But Somalis buys can of drink for millions of his money. Hyperinflation is so horrible in Somalia that they no longer issues out any coins. It’s illegal to barter and or trade coinage. 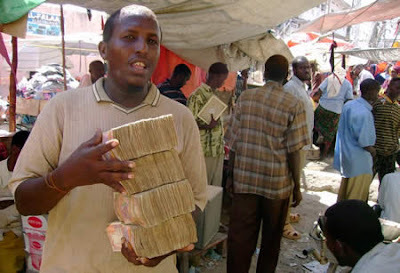 The highest valued banknote in Somalia is 10,000, approximately valued at 3 cents US$. USD1 = 16,500 Vietnamese Dong, which literally makes you a millionaire in during your Vietnam visit. It’s actually quite a pain though, for foreign travellers who are slow in counting. 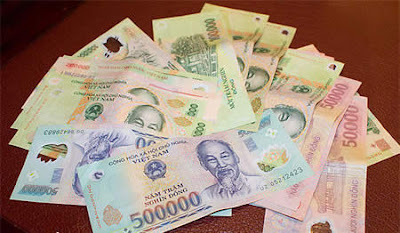 The đồng has been the currency of Vietnam since May 3, 1978 and is one of the least valued currency in the world. The value of the biggest banknote in the country (500,000) is US$31.37. Starting with the early 1980 the embargo of the United States stopped the exports from Vietnam, which lead to price controls and an abundance of dongs printed in the country. 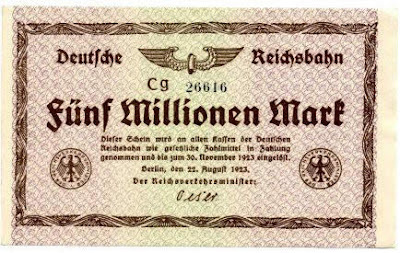 One of the most spectacular moments of hyperinflation came from Germany shortly after WWI and the German Revolution. 1US$ = 4,000,000,000,000 Marks as of December 31st 1923 and during the worst times, one U.S. dollar was equal to 80 billion Mark. One of the firms printing these notes submitted an invoice for the work to the Reichsbank for 32,776,899,763,734,490,417.05 (3.28×1019, or 33 quintillion) Marks. 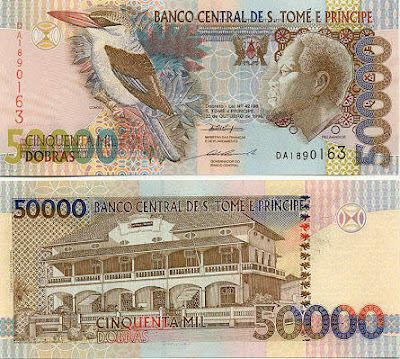 The visitor to São Tomé and Príncipe – an island nation located in Africa – will have to spend their money wisely. The country’s currency is entitled “dobra” and it most valued banknote is the 50,000 dobra note, which is worth about $3.47. With 20,000 roughly equivalent to £1, you’ll need a hefty measure of these just to buy a cup of the nation’s favourite tipple, cocoa. The fiat currency in use by Iran is the Rial. As of January 1st, 2011, 1 US Dollar was the equivalent of 10,349.59 Rials. The highest issued coin is pegged at 5,000 (48 cents US). Of note is that Iran still has many silver coins left in circulation. These coins contain approximately 40-60% silver and may be the most undervalued coins in the history of mankind. The highest valued legal tendered banknote is pegged at 100,000 ($9.66 US). The pengo was the currency of Hungary. The currency survived only for 20 years and experienced the most serious hyperinflation ever recorded. The 100 million b.-pengoonote- picture above -was the highest denomination of banknote ever issued, worth 100 quintillion Hungarian pengo.